The measure, according to Paulino, will save 50% in military spending for soldiers’ garb, and encourages domestic production. A source in the textiles industry complained however that the measure creates unfair competition against domestic manufacturers. Until this year, the Armed Forces and the National Police imported 200,000 uniforms for its personnel each year, but since August work is being done to supply that demand with local manufacturing, the official said. 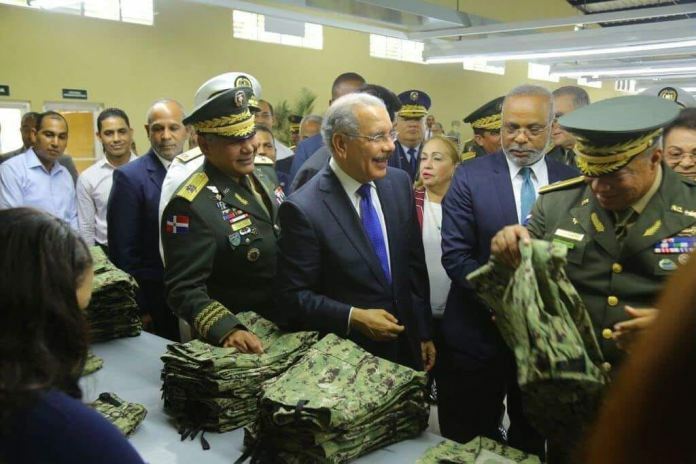 On August 3, president Danilo Medina put into service the first phase of the “industry,” to manufacture military uniforms and boots.